Teodorin Obiang Nguema, the son of Equatorial Guinea’s president and the country’s vice president himself, is immersed in scandal again. 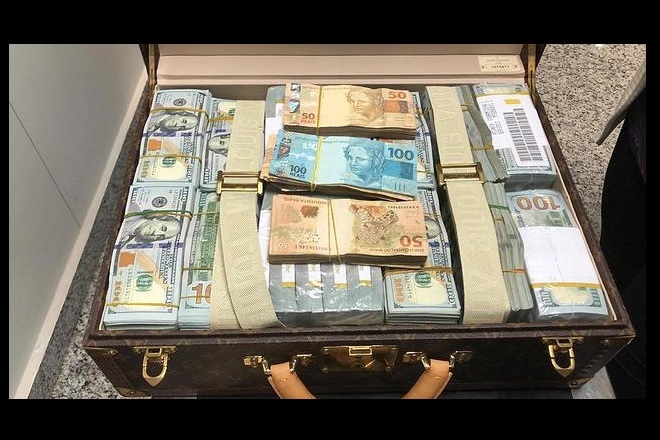 This time Brazilian authorities seized USD$1.4 million found in a suitcase as his delegation arrived at Viracopos International Airport in Campinas on Friday. Obiang also traveled with about 20 luxury watches valued at $15 million in a second bag, one of 19 cases searched by Brazilian authorities, according to Globo. The amounts far exceeded the legal limit for cash brought into Brazil, which is set at $2,400. Brazilian media quoted the Embassy of Equatorial Guinea’s official explanation, stating that Obiang traveled to Brazil for medical treatment and needed the money later for business in Singapore, but details on his own case are limited because he enjoys diplomatic protection. His delegation didn’t. Obiang is no stranger to Brazil, where he owns some $200 million in property and socializes with celebrities and other elites. Yet his case is under scrutiny because of previous corruption convictions in France last year, and his 2014 forfeiture of $30 million in assets in the United States for the same reason. “Through relentless embezzlement and extortion, Vice President Nguema Obiang shamelessly looted his government and shook down businesses in his country to support his lavish lifestyle, while many of his fellow citizens lived in extreme poverty,” the U.S. investigators said. While he lived on an official salary of less than $100,000, he used his position to amass more than $300 million in assets including a Malibu mansion, a Ferrari and other luxury cars, and pricey Michael Jackson collectors’ items. Switzerland also has opened an investigation into Obiang’s finances, while Spain is looking into President Teodoro Obiang’s role in money laundering and corrupt arms deals with Ukraine. Obiang and his father have long been under scrutiny by investigative NGOs and watchdog journalists. The elder Obiang has ruled the small but wealthy Western African nation for 39 years after rising to power in a 1979 coup. Now Africa’s longest ruling leader, the president is a de facto dictator under Equatorial Guinea law. 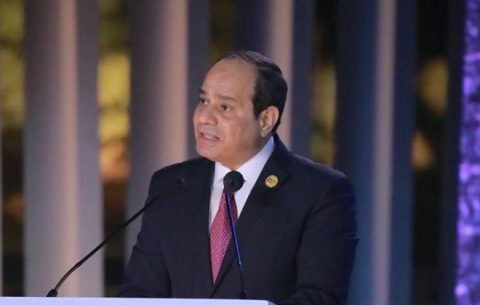 In February, he outlawed the main opposition party and sent dozens of its Citizens for Innovation (CI) members to prison. 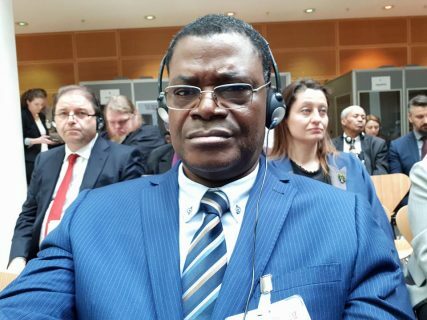 Last month, as those political prisoners remain held, the legislature banned foreign travel for opposition members unless personally approved by the globe-trotting Teodorin Obiang – the second such ban in force over the summer, with the first covering Equatorial Guinea’s civil servants. The arrests and travel bans stem from fears of a coup in December 2017, when Equatorial Guinea sealed off its border with Cameroon claiming that fighters from Chad were aligned with CI leader Gabriel Nsé Obiang in an attempt to overthrow the government. 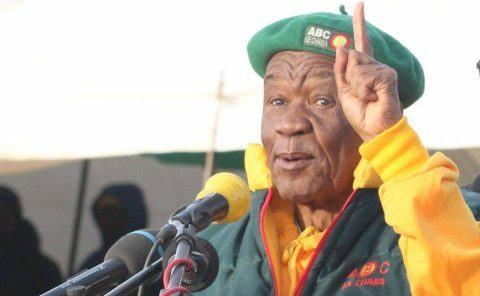 Some CI members were sentenced to 30 years. 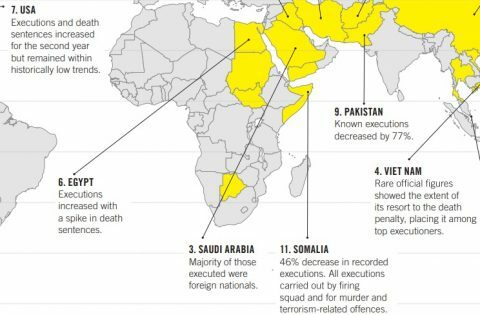 That’s made for an Equatorial Guinea that, already listed among the world’s most corrupt by Transparency International and among the least free for journalists on the 2018 World Press Freedom Index, is even more repressive. Yet Obiang and his father have continued to amass wealth at the expense of 1 million citizens. So while Teodorin Obiang shows up at the airport in Brazil with diamond-crusted personalized watches worth millions, people live in tiny homes with no running water on unpaved, muddy roads. There’s a six-lane highway for the fancy cars, but hardly anyone else is on it except for villagers who dry their clothes on the pavement. There are overcrowded schools with no electricity and no running water. “Put it this way – corruption happens the world over, but Equatorial Guinea’s government has turned it into an art form,” said researcher Sarah Saadoun in the HRW interview. That may change as the global community, spurred by investigations into financial webs and crimes, seeks to curb corruption with impunity. A new study, released last week by Transparency International, looks at how countries included in the OECD Anti-Bribery Convention – and a few that aren’t – are complying with enforcement. Their economies cover two-thirds of global exports and 75 percent of foreign direct investment flows, and Equatorial Guinea’s name pops up in cases that include the high-profile SBM Offshore deal: The Dutch company paid $180.6 million to governments including Equatorial Guinea, Angola and yes, Brazil. Brazil’s overall enforcement is improved, the export-focused report finds, but what will become of Vice President Obiang now that this latest seizure occurred? Brazilian media notes the pattern of protecting him, including during his Rio Carnival trip in 2013 when France wanted to extradite him. Malabo wants the assets returned, but Brazilian authorities are still investigating. The younger Obiang has never been stopped by Brazilian authorities. The elder Obiang has never been stopped by much of anyone. Perhaps this time it’s their luck that will run out.